Ever need a flat bread or cracker with character to fill in as a snack with drinks or as an alternative bite with soup or salad? This one is even gluten-free. 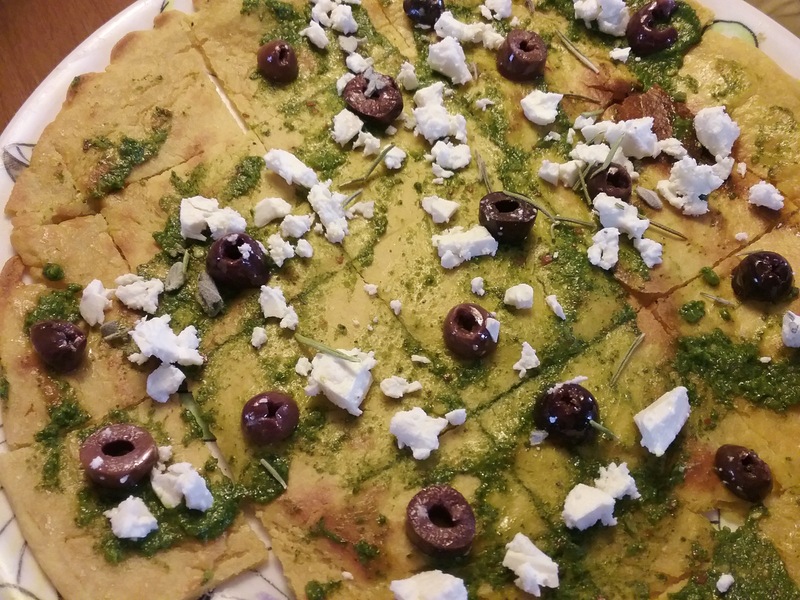 Socca is a fascinating chickpea based ‘crepe’ popular in the south of France. In northern Italy, Farinata is a variation sold along-side pizza and focaccia. No shaping or patting required, Socca is a simple batter built on chickpea flour, salt, water, and a bit of olive oil. If time permits, let the batter rest overnight for it to relax and thicken. The flavor and texture will improve, resulting in a creamy interior and crisp exterior texture. When ready, spread it into a pizza pan and bake in hot oven to set. Remove briefly, add toppings, and return to finish. As you can imagine, this chickpea treat is full-flavored and needs little more than a light topping of olive oil, a sprinkling of sea salt, fresh herbs, perhaps a few olives for embellishment… Rosemary is one such herb that is assertive enough to do well here. Or, if you are feeling adventurous, try Zhoug Sauce , a highly addictive condiment from Yemen made with cilantro, jalapeno peppers, chile flakes, garlic, cardamom, and cumin seed. 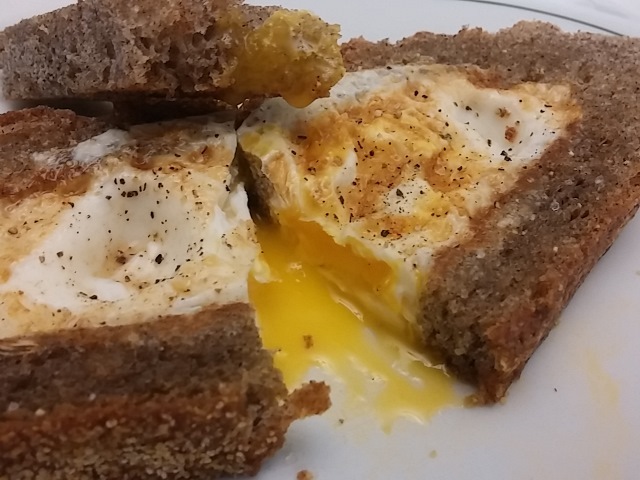 I was lucky enough to discover the sauce at Trader Joe’s recently and it was a big hit on a recent Socca batch. Be prepared, Zhoug packs quite a punch. I liked it so much, I even added feta cheese. So much for keeping it simple. Whisk the flour and salt together in a bowl. Add the water and olive oil and whisk until smooth. Cover and let the batter rest at room temperature for at least 2 hours, or overnight. Preheat oven to 450°F. Spread 9” pizza pan liberally with olive oil. . Place the pan in the oven to preheat for 5 minutes. Carefully remove the pan from the oven and pour in the batter, spreading to edges in an even layer. Bake for 7 minutes and remove from the oven. Lightly spread top with olive oil, fresh herbs or sauce of choice. Add feta cheese if desired, and return to oven for 7 minutes longer until the surface takes on color and browns. 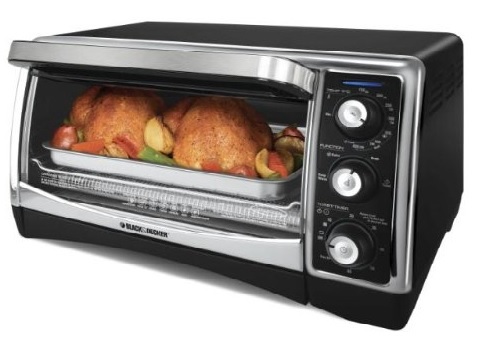 If the top doesn’t brown, turn the oven from bake to broil until crisp and blistered. Store, covered, in the refrigerator for up to a week. Reheat in a preheated 400°F oven for 10 minutes before serving. Yield: 3 – 9” rounds cut into portions. I’ve been going small lately. After years of resizing recipes upwards of 50+ servings, this is clearly a novel situation. Baking small may be a new world for me, but it is far more efficient and less energy wasteful, thanks to my recent purchase of a mini convection oven that is big enough to hold a 9” pizza (just sayin’). 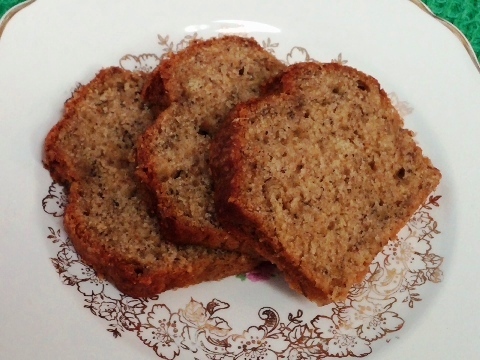 Turns out, the new Black and Decker countertop oven is ideal for tasks like baking two petite loaves of banana bread―yielding a sweet gift in hand for a lucky friend and a perfect quality control loaf for moi. I felt like a kid again playing with an Easy-Bake toy oven. 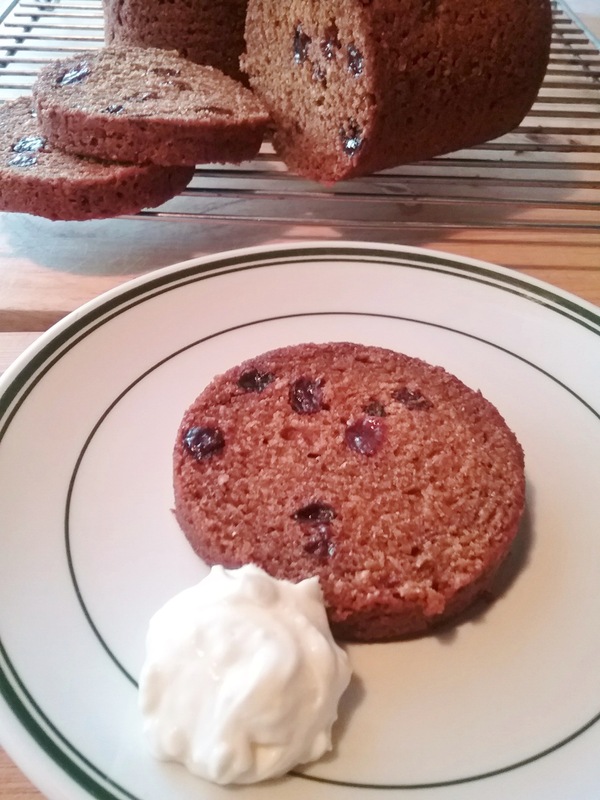 In the same spirit, I kept it simple by using a basic quick bread recipe that requires no special tools. 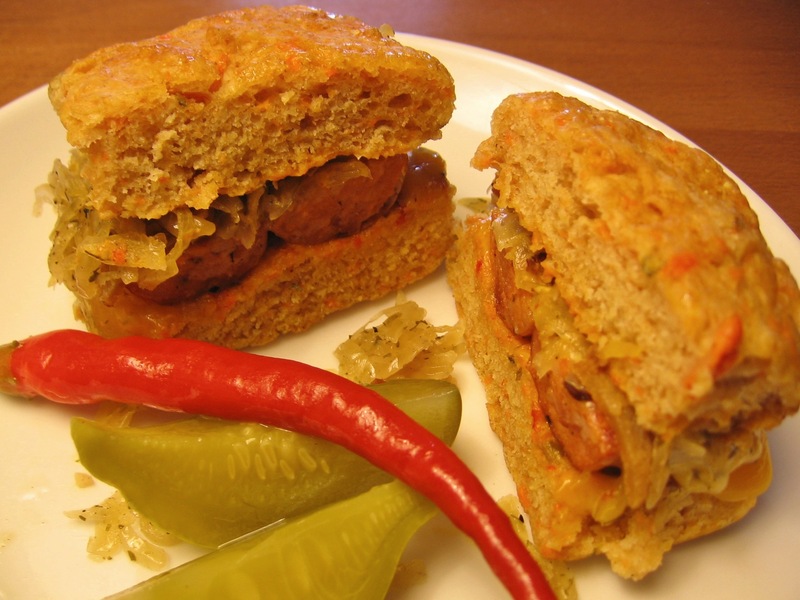 As with most quick breads, the dry and wet ingredients are combined separately then quickly mixed together. However, I did change up the oil by substituting half melted coconut oil; a very nice touch. For a sparkling flourish I sprinkled the tops with a dusting of Demerara sugar. Kid’s play, for sure. Panibois wooden molds are a handy solution for dressing up those spur of the moment acts of kindness. Technobake offers a full line with all sorts of sizes and shapes. They are so attractive I keep an extra woven tray on my desk to hold daily action items. Even better news, you bake right in the molds, since each includes a paper liner for added protection. Preheat oven to 350 degrees. If using metal pans, spray with baking spray and line bottoms with parchment. In large mixing bowl, combine dry ingredients through salt and whisk to blend. In medium bowl, mash banana, whisk in egg, then the oil; add the brown sugar and whisk until smooth. Stir in the vanilla. Stir the banana mixture into the dry ingredients just to combine. Spread into two 5×3” loaf pans. Sprinkle with Demerara sugar if desired. Bake for 45-50 minutes, or until the loaves begin to shrink away from edges of pan, are nicely browned, and the centers are dry when tested. (Since these brown quickly, I reduced the heat to 340 degrees half way through to insure they were thoroughly baked). Let cool for 10 minutes on rack, turn out of pan and cool to room temperature. 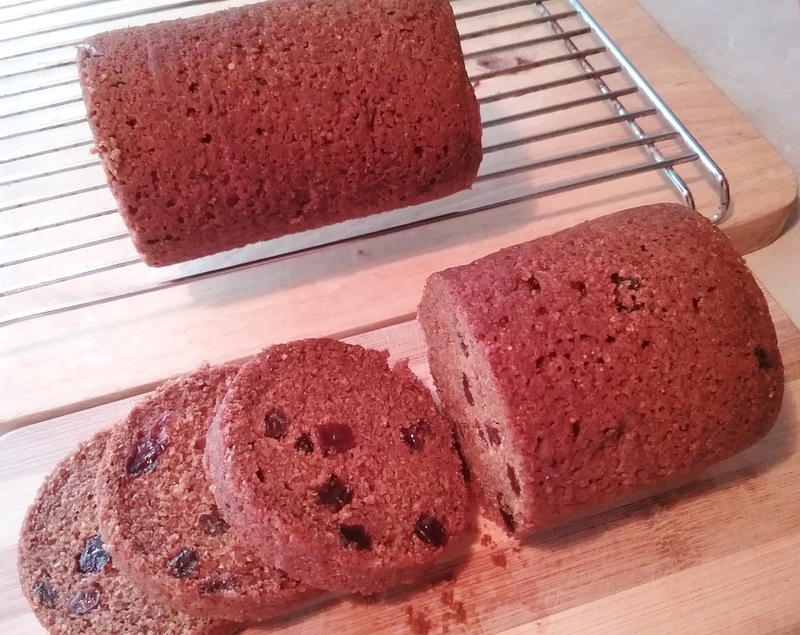 Yield: two 5×3” loaves. What do you get when you combine bread and berries together and let them set in the fridge overnight? An unpalatable gob, perhaps? That was pretty much my take whenever I considered Summer Pudding, that most cherished of British sweets. I could not wrap my brain around seriously wasting the season’s best fruit on this bizarre idea. In all fairness, maybe it is another case of availability being the mother of intention: or, when you’ve got bread and berries, you just make pudding. 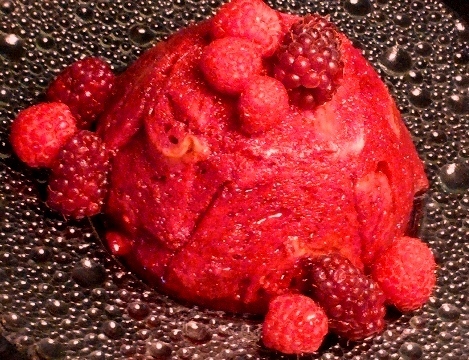 Here, a mold is lined with bread slices and filled with berries that have been briefly simmered with water and sugar to create fruit syrup, which binds it all together. It is then weighted down and pressed until it forms a congealed mass. I know. It still doesn’t make the heart race. Well, I certainly value Judith’s perspective. After all, she was most influential in getting Julia Child first published. 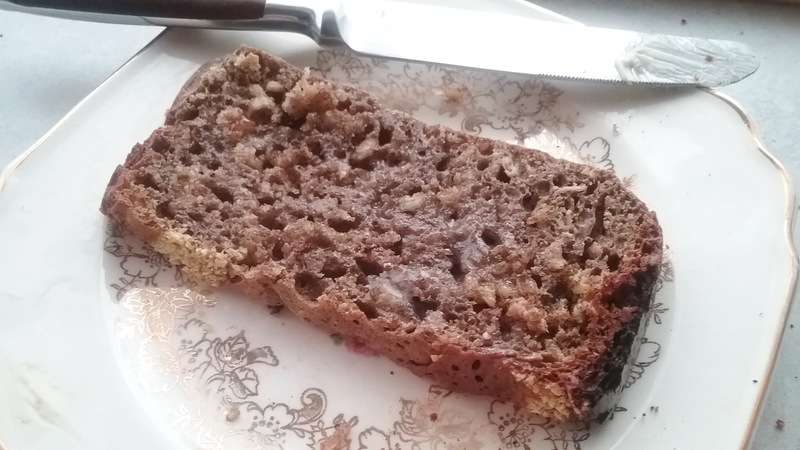 Besides, making only one serving meant I had very little at stake―especially since I had a half loaf of Banana Swirl Bread still breathing heavy in my larder. And, it is berry season in the Willamette Valley. 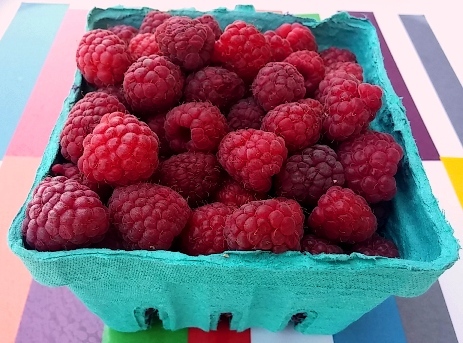 It didn’t take long to accumulate plenty of berries: raspberries, marionberries, strawberries, and tayberries (a new blend of raspberries and marionberries). In that same amount of time I also learned more about the magic that occurs in Summer Pudding. Currants are not imperative here, but they provide a clue pertaining to why they are valued for more than their taste. Currants are especially high in pectin, followed closely by other berries such as strawberries, blackberries and the like. Pectin becomes the active ingredient that binds and transforms these simple ingredients into something utterly bewitching. 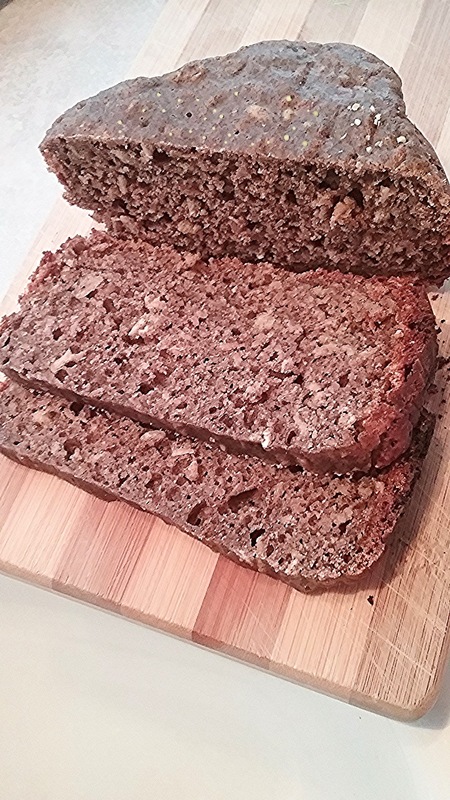 Just in case you don’t have a loaf of Banana Swirl Bread, any firm homemade or Pullman style loaf that is not too light will provide the necessary structure to hold this all together. 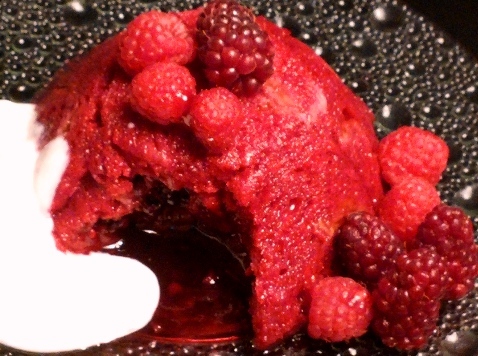 Ina Garten’s Summer Pudding uses further insurance by inserting layers of bread in the center of her mold for increased substance. I suspect this is more of an American conceit, and likely viewed as unnecessary by the average British cook. If you have additional syrup, set it aside and save it to enjoy with the pudding. To unmold, slide a knife around the pudding and turn it upside down onto a plate. Serve it with more fruit, sweetened whipped cream, crème fraiche or yogurt. 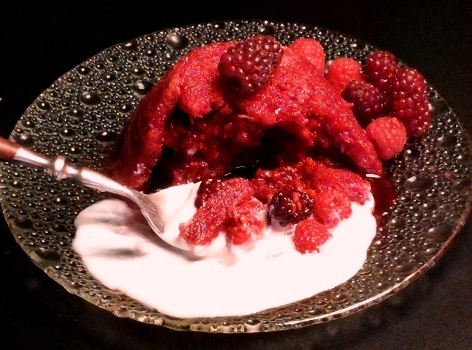 By the way, Summer Pudding is really good for breakfast―about as long as I can wait.Maybe it will bring out the kid in you, too! You know, the British may be on to something here―Summer Pudding is light, fresh, and happy―and it certainly makes me smile. Inspired by Judith Jones, The Pleasures of Cooking for One, also online article by Felicity Cloake, www.theguardian.com. 2 slices homemade bread, trimmed and thinly sliced, approx. In a small saucepan place the washed fruit, the sugar and water. Over moderately heat, simmer 3 to 5 minutes or until fruit is softened but not mushy. Taste the syrup, it should be pleasantly sweet, add more sugar if too tart. There should also be enough syrup to fully moisten the bread liner, adjust liquid as necessary. 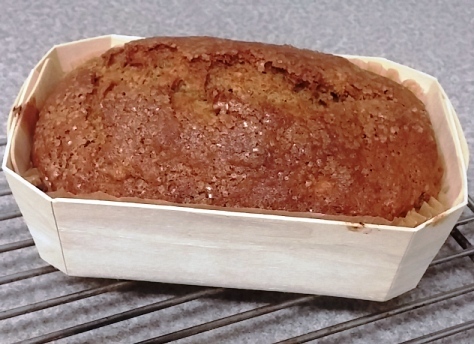 Line a one cup mold with the bread slices: line the bottom of the mold, then cut triangles or rectangles to run up the sides fitting firmly without gaps. Cut a round to fit on the top, which will be the bottom when unmolded, and set it aside. Arrange the fruit and syrup in the mold and place the reserved round on top. All the bread should be moistened. Place a small plate with a can or other heavy object on top to weight it down evenly. Enclose it all with plastic wrap.